Which color sticky tab do you want? Do you want to try right hand or left hand first? Which piece would you like to work on first? Do you want to play with me playing with your or with the accompaniment track? Children enjoy feeling valued and involved in decisions. They may be more motivated to work on a piece if it was their choice. 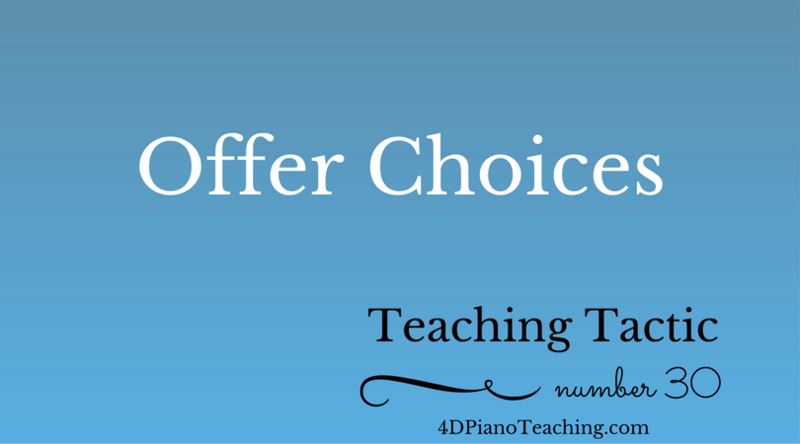 Giving choices is a simple step that can make a big difference in your lessons.